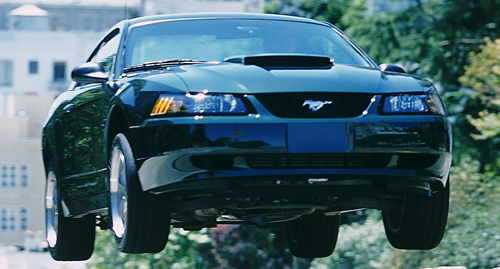 Check out all of the information you ever wanted to know about the famous 2001 Mustang Bullitt! 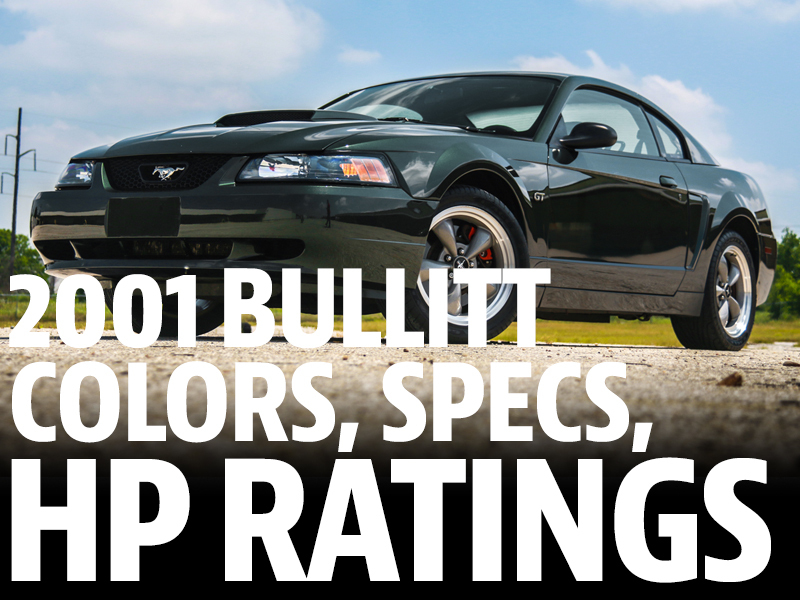 Colors, production numbers, horsepower ratings and much more! 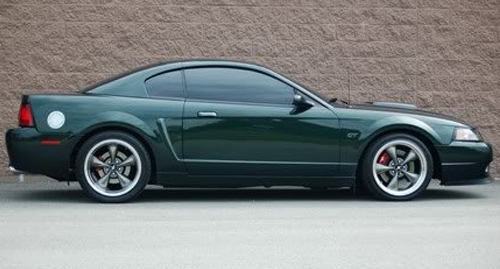 The Bullitt Mustang. The iconic car has now become one of the more sought after New Edge Mustangs and will just increase in its popularity as the year’s progress. This is Ford’s Tribute to Steve McQueen and the 1968 GT390 that chased down that wily Black Charger in the 1968 movie BULLITT. 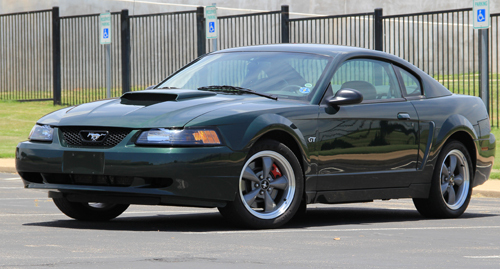 The differences between the Standard GT and the Bullitt are subtle but make a world of difference! Three colors were uses, Black, True Blue, and of course Dark Highland Green. This 275 horsepower Bullitt was tighter and more swift than the Standard GT which makes this car quite fun to drive in its stock trim! Many of the Concept Car items such as the Rear Bumper fascia could not be reproduced in the time allotted before production. 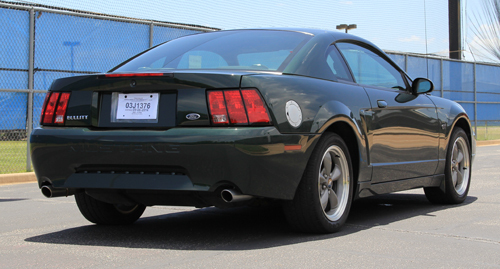 The Bullitt prototype Rear Bumper fascia was eventually used on the 03 Cobra rear bumper design. SVT “borrowed” the design from the Bullitt Concept car. The seat design was taken from the 1968 Mustang seats which had vertical pleats. 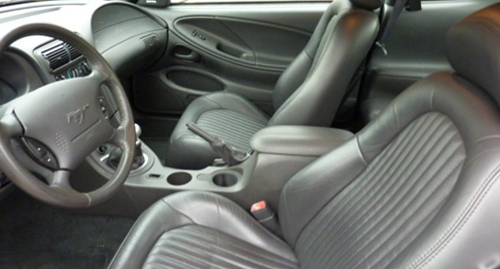 The concept steering wheel did not make production as it would have required extensive testing due to air bag restrictions. The Brushed Silver fuel door and Painted Red calipers were added to help the Bullitt stand out compared to the Standard GT and the Cobra Mustangs. The Retro Gauge Cluster and the Brushed Pedal design/placement were also important addition to the 1968 design. The design team also wanted to design an all new C-pillar but cost prevented this from happening. The final result was a C pillar that resembled the 94-98 C pillar. Speaking of SVT “borrowing” the Rear Bumper fascia, the original design team wanted the 32-Valve DOHC Cobra Engine instead of the SOHC 2V engine to be the heart of the Bullitt but SVT had ownership of the engine. Availability of Cobra engines was another concern. Distinct brand separation had to be maintained between the GT, Bullitt, and Cobra cars so that was another reason for the Cobra engine staying put in the SVT Mustangs. 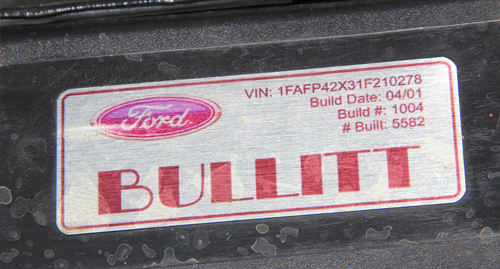 As a result, the Bullitt received the cast aluminum, long runner Ford Racing intake manifold to increase the Horsepower, improve the torque curve, as well as add to the cars uniqueness. Under drive pulleys and a larger alternator were also added to the Bullitt. 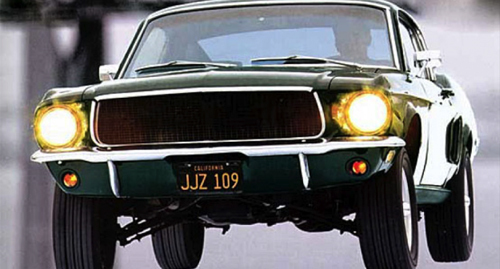 What Makes A Bullitt A Bullitt? 13” Front brakes with Dual Piston Calipers and 11.6” rear rotors from the 99-01 Cobra. Calipers were red with a Running Pony on the front set. 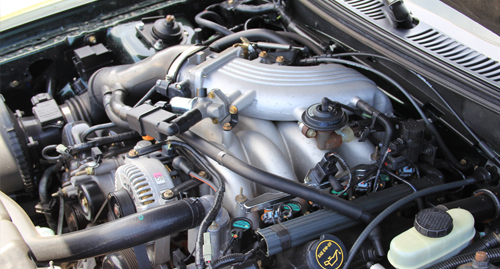 A Unique cast aluminum intake manifold has an increased runner diameter to maintain low-end torque and provide a broader power curve for increased top-end performance as well as a great underhood appearance. Twin blade 57mm throttle body replaces the GT 65mm single blade throttle body, allowing for quicker throttle response and increased air flow. The alternator pulley was increased to 66 mm and the water pump pulley was increased to 140 mm. The exhaust system has been tuned to increase flow approximately 20% and give the Bullitt distinct sound through Arvin mufflers with Rolled 3” exhaust tips. All Mustang Bullitt’s have the tr3650 transmission and a 11-inch flywheel and clutch assembly that provides improved shift quality, increase torque capacity, and reduce clutch pedal efforts. Holographic Bullitt Serial # sticker on the Driverside Strut tower and an additonal Serial # sticker located under the rear seat. Chrome Pony grill is centered in a blacked out coral instead of chrome. Molded c-pillars sweep forward instead of straight down. Brushed aluminum Fuel Filler door. Lowered by 3/4" compared to the GT. Bullitt Badge on Left Decklid instead of GT Badge. Rolled exhaust tips vs the plain angle cut tips on the GT. Seats are stitched to resemble the style from the 1968 GT390. Brushed aluminum looking shifter bezel. 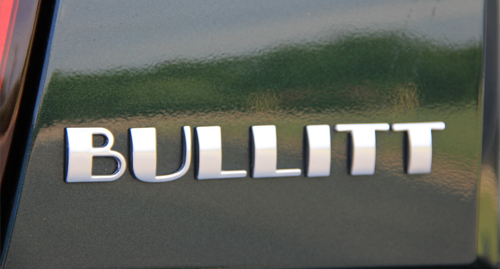 Door sills with BULLITT logo. 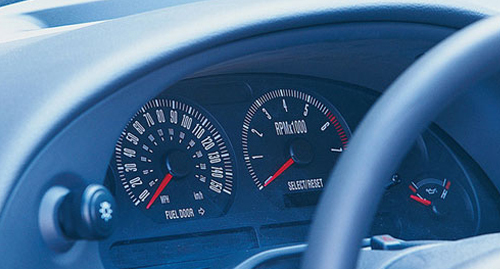 Retro dash has white lighting and closely indexed speedometer. Stainless steel pedal covers are positioned to provide better heel-to-toe relationship. A Total of 5582 were made but the numbers go up 5601. These numbers includes 3 prototypes of which the McQueen family received four cars. These Special Bullitt’s were given specific Stickers that read "McQueen 1, McQueen 2, McQueen 3, and McQueen 4". The McQueen family Bullitt’s were included in the 5,582 final production number but they were NOT the very first Bullitt's produced. They were made during the regular production run. 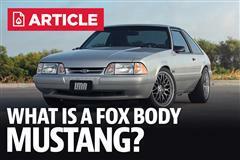 What Is A Fox Body Mustang? 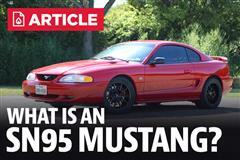 What Is An SN95 Mustang? 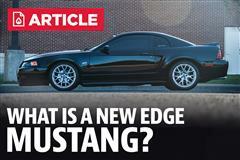 What Is A New Edge Mustang? 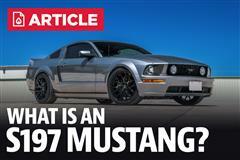 What Is An S197 Mustang?